Another cute gift idea from Birdorable! Here a pair of Winter Wrens stands together -- how cute! You can customize this gift! Move the design around, change the background color or style, add text or images -- make it your own! 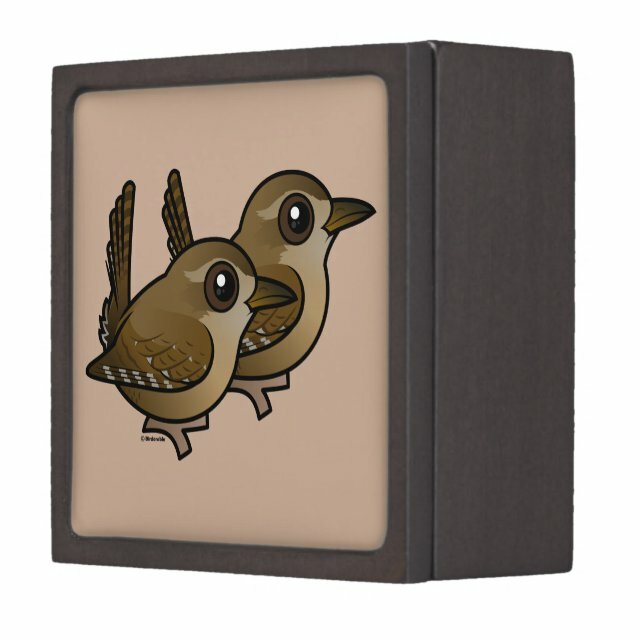 Display your favorite images on the lid of this beautiful gift box. Store earrings, jewelry, or coins in this fun gift box. Made of wood and secured with a magnetized lid.